JUNCTION CITY — One of the nation’s largest RV dealers is becoming even bigger. 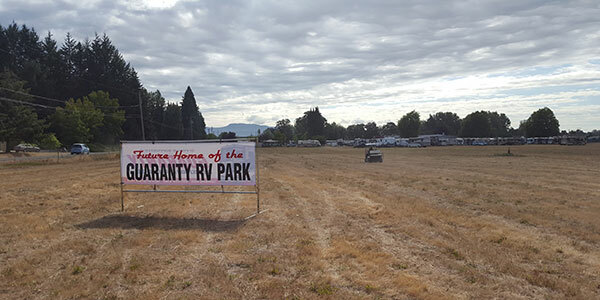 In January, Guaranty RV Super Centers plans to open a 55-unit RV park near its Junction City sales, parts and maintenance businesses, company officials said. 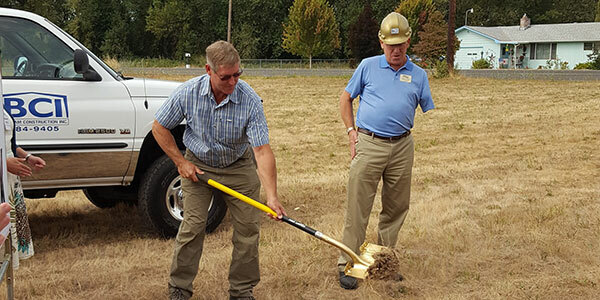 Crews broke ground Monday on the eight-acre park, which will be behind Guaranty’s Travel Center at 93668 Highway 99. The $1.5 million project will include installing electrical lines, septic service, and grading and landscaping work, marketing director Marshall White said. The park will offer full hook-ups, an outdoor pavilion clubhouse, dump station, pet area and Wi-Fi. “We are a convenient location and destination near the new Winnebago factory, our own RV service center and a number of beautiful destinations in Oregon,” White said. 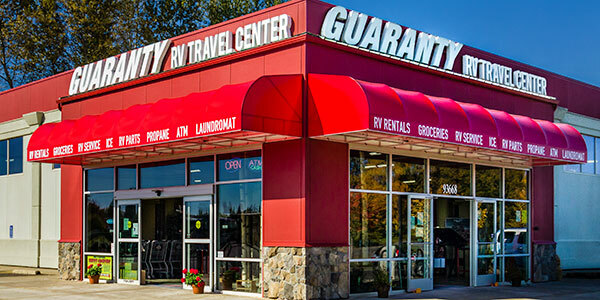 The RV park will be within walking distance of Guaranty’s sales lot and its travel center, which offers parts and installation, repair and other services. The park will be open to RV enthusiasts, customers who are having their RVs serviced at Guaranty, and RV rally groups. Guaranty has been owned by the local Nill family since 1966, when the late Herb Nill bought the Guaranty Chevrolet-Oldsmobile dealership in Junction City. Over the years, the business expanded into RVs and now is among the top five RV dealers in North America, White said. One of the reasons for Guaranty’s high national profile is its service operation, which performs warranty service on numerous different RV brands, White said. “We see thousands of RVs come through each year to be serviced from all around the country,” he said. A number of RV groups already have shown interest in booking spaces at the park, including the Wandering Individual Network, a group of single RVers, Oregon RV Women, and the Winnebago Club, White said. Guaranty has 367 employees, and is hiring for about 40 — mostly replacement — positions, such as lot attendants and service and support staff, he said. White estimated that the RV park will add a handful of employees to Guaranty’s Travel Center operations. Guaranty’s RV rentals department is taking preliminary reservations for next year, White said, adding that prices will be determined later.